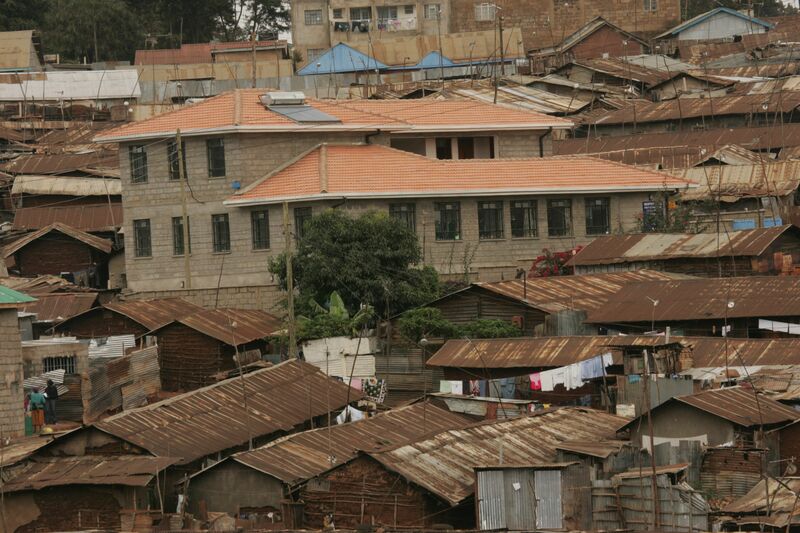 Access to affordable, reliable health care in Kibera is scarce. We work to provide community members of all ages high-quality, comprehensive medical services and health education. We believe a dual focus on treatment and prevention is necessary to improve the health of a community, so many of our initiatives take place outside of the clinic. Our community-based, personalized healthcare saves lives and empowers residents with tools to keep themselves and their families healthy. Named after the late Tabitha Atieno Festo, CFK co-founder and community nurse, Tabitha Medical Clinic is located in the heart of Kibera and offers excellent healthcare to all Kiberans for a flat fee. The clinic offers an impressive list of services and operates under a “one stop shop” philosophy. Patients can find x-ray services, a pharmacy, ultrasound services, HIV/AIDS testing and counseling, cervical cancer screening, immunizations, and family planning counseling all in one place. Collaborating with the U.S. Centers for Disease Control and Prevention (CDC), our community-based medical clinic is staffed by medical professionals that believe in the clinic’s mission to focus equally on prevention and treatment. Click here to read more about Tabitha Medical Clinic. The Lishe Bora Center operates in the same region as Tabitha Medical Clinic and the Community Health & Wellness program, which allows for a strong continuum of care, that includes active case finding for malnourished children, growth monitoring and promotion, deworming, and vitamin A supplementation. Focused on bringing severely malnourished children under five years of age back to full health, treatment at the Center consists of an 8-week feeding program. Our Nutrition Program Impact Report shows how CFK is reducing malnutrition rates. Our Lishe Bora Mtaani Nutrition Center also incorporates both early childhood and parent education across its scope of services. Early childhood educators provide educational instruction and support for developing social skills. The parents of children in treatment receive health information and are guided on how to prepare nutritious meals for their families without any increase to their daily income. Additionally, parents are educated on best practices in hygiene and sanitation to help keep their families healthy. Click here to learn more about CFK's Lishe Bora Mtaani. In order to bridge the gap between health professionals and residents of Kibera, we empower over 100 Community Health Volunteers (CHVs) to visit homes and educate families about the services offered at Tabitha Medical Clinic. CHVs are selected by their peers and work diligently to ensure that healthy behavior is standardized. Volunteers take health education into the community itself. CHVs connect with individuals at their homes to conduct screenings on several health issues, and refer when needed to the clinic for vital treatment services. CHVs provide a continuum of care and follow up with clinic patients to ensure access to prevention, care and treatment services. Pregnant women and children under the age of two are one of the most vulnerable populations with respect to health and susceptibility to illness. They are at risk of diarrhea and other diseases related to poor hand-washing practices. Our Clean Hands Save Lives projects provides community members with the proper tools and skills to help reduce diseases. The Sexual & Reproductive Health Program works closely with Tabitha Medical Clinic to provide HIV/AIDS testing and counseling, sexual health workshops, and one-on-one counseling services for the community. Youth Peer Providers -- our training volunteer educators -- provide counseling, distribute condoms, and refer patients to the Tabitha Medical Clinic to receive treatment, including post-abortion care and anti-retroviral medicine to counteract HIV. Volunteer educators also work across all of our core programs to speak with young members of the community about HIV/AIDS and sexual health. Jeff’s career as a journalist is just getting started. 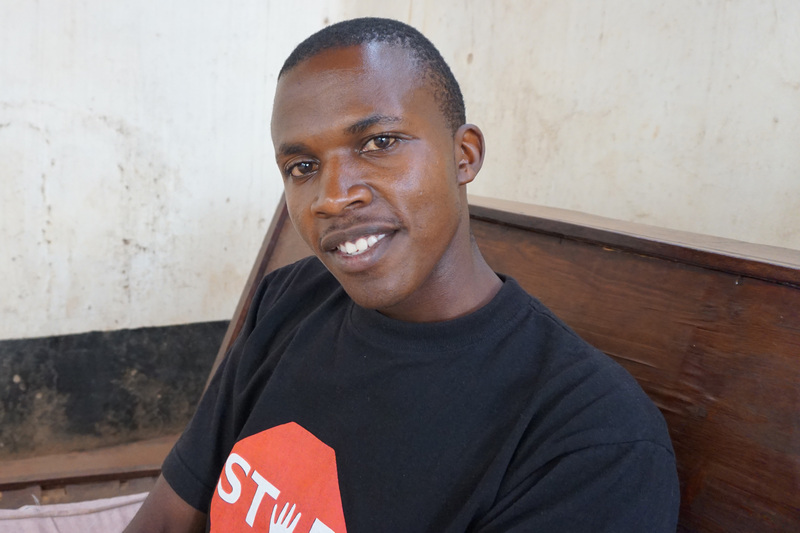 He shared, “I don’t need to be famous, I just want to do the job.” Through his work as a volunteer Youth Peer Provider, he provides fellow Kiberans with accurate health information about contraceptive use and HIV prevention. His avenue of choice is radio, where he is currently cultivating his journalistic voice. His message to youth in Kibera: You, too, have the power to educate. Established in 2001, Carolina for Kibera (CFK) is an international, nongovernmental organization based in the informal settlement of Kibera in Nairobi, Kenya. In the United States, CFK is a 501(c)(3) nonprofit organization and major associated entity of the University of North Carolina at Chapel Hill.